I never went camping as a kid. I’m not sure why I avoided it for so long, but I finally tried it last year and simply loved it. That’s why I’m planning to travel and camp around Serbia, and one of my first destinations is Silver Lake (Srebrno jezero in Serbian) near the town of Veliko Gradiste. It’s located near Belgrade, some 110 km southeast of it and is easily accessible by car or bus. Silver Lake has an irregular arch shape; it is 14 kilometers long, up to 300 meters wide and covers an area of 4 km². It is situated at the altitude of 70 meters and deep as much as 8 meters. The water is clear due to the lack of pollution and the natural philtration of the water through many sand dunes. The lake is abundant in fish, including white amur, carp, catfish, pike, perch and other freshwater whitefish. 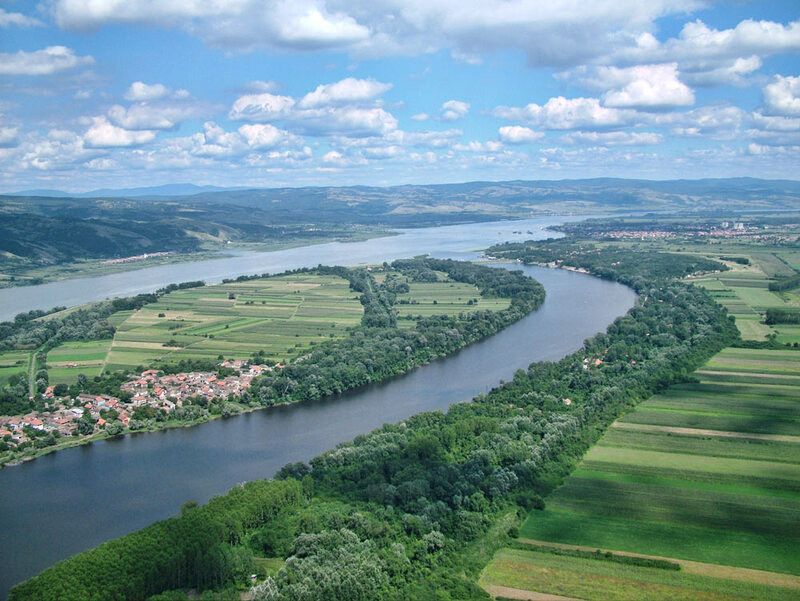 The river Danube is also very near, so the region must be a great treat for fishing. My friend visited it just recently and was very impressed, especially by the development – he said it looked like a lot of money recently went into maintaining and improving the landscape, as well as re-building the tourist infrastructure. According to him, the place had an almost ‘’seaside’’ feel to it, which is great. He stayed in a bungalow, but I recommend a camping trip. All in all, Silver Lake looks ideal for a short, late-summer outdoors vacation.